be determined by the user. hematopoietic cells; it is widely present on cells in all tissues. Material Safety Datasheets are available at www.acris-antibodies.com or on request. inhibits C5b-8 catalysed insertion of C9 into lipid bilayers. Immunology. 1990 Sep;71(1):1-9.
functionally active on glomerular epithelial cells. Clin Exp Immunol. 1991 Feb;83(2):251-6. 3. Menu E, Tsai BC, Bothwell AL, Sims PJ, Bierer BE: CD59 costimulation of T cell activation. monocyte antigen, and a pan-leucocyte antigen. Folia Biol (Praha). 1986;32(1):12-25. 6. Leukocyte Typing IV., Knapp W. et al. (Eds. ), Oxford University Press (1989). 7. Leukocyte Typing V., Schlossman S. et al. (Eds. ), Oxford University Press (1995). homologue) is located on the short arm of chromosome 11. Immunogenetics. through phosphatidylinositol. Mol Immunol. 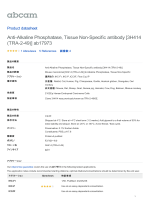 1989 Feb;26(2):153-61.
molecules complexed to protein tyrosine kinases. Science. 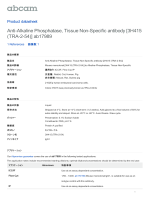 1991 Nov 15;254(5034):1016-9.
kinases. J Immunol. 1992 Oct 1;149(7):2262-70. Biophys Res Commun. 1998 Feb 24;243(3):706-10.
cell-mediated cytotoxicity. J Immunol. 2006 Mar 1;176(5):2915-23.
of human peripheral blood lymphocytes. Blood. 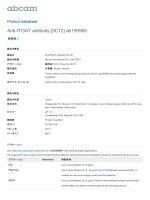 1998 May 15;91(10):3901-8.
with anti-Human CD59 antibody (MEM-43) PE.